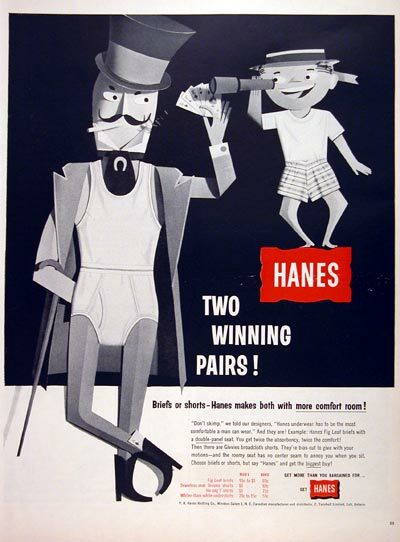 1957 Hanes Men's & Boy's Underwear original vintage advertisement. Briefs or shorts, Hanes makes both with more comfort room! Priced from 69¢ to $1.00.